Opium poppy, Papaver somniferum var. album, is a species of plant. Opium and poppy seeds come from poppies. 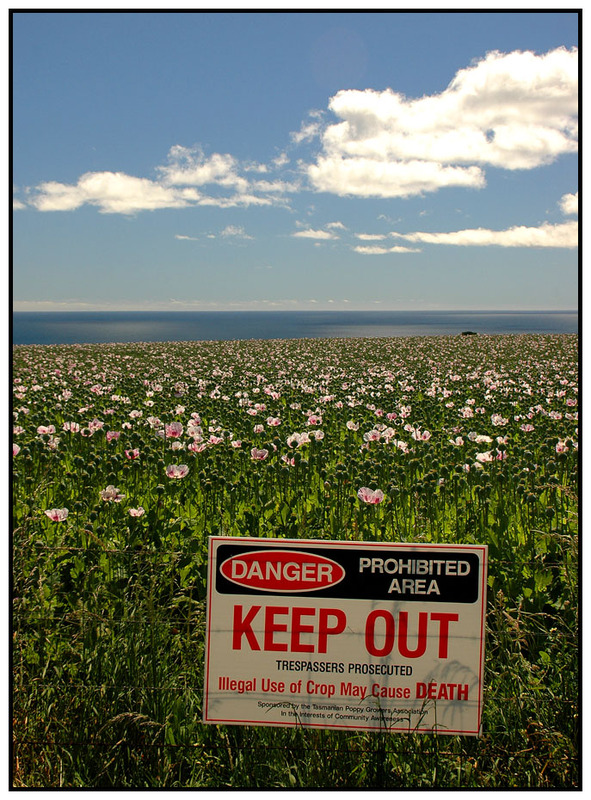 A great number of opiates, such as morphine, heroin, and codeine, are made from opium. The Latin name for the opium poppy means "sleep-bringing poppy, white form," probably because some of these opiates make people feel sleepy. The poppy is the only species of Papaveraceae to be grown as an agricultural crop. Other species, such as Papaver rhoeas and Papaver argemone, are important agricultural weeds. They may be wrongly thought of as the crop. The plant itself is also used as a decoration. Known as the "common garden poppy," it is widely grown as an ornamental flower in Europe, North America, South America, and Asia. 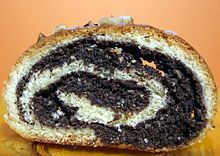 Poppy seeds of Papaver somniferum are used as food in many cultures. They may be used whole by bakers to decorate their products or milled and mixed with sugar as a sweet filling. They have a creamy and nut-like flavor. Seeds of papver somniferum are also used to make poppyseed oil. The seeds have very little opiates. The oil that comes from them has even less. ↑ "Erowid Poppy Vault : Legal Status". erowid.org. Retrieved 19 April 2010. This page was last changed on 14 March 2018, at 17:46.